Selkirk is a collaborative school community that continues to build a shared capacity to provide culturally relevant programs and learning experiences that support the values and learning needs of the students and families it serves. We recognize the importance of working together to develop the relationships, mutual caring and trust that best support student learning and achievement. This is a K to Grade 7 School serving 188 students. For more information about this school visit ses.yukonschools.ca. Selkirk Elementary School has foods available for any student that needs breakfast, lunch or snacks. The greatest need is for lunches and during the last school year 1247 asked the school for lunch. “Your program is outstanding! It allows our staff to provide food for students in need of nutritional support who may arrive in the morning without having had breakfast or a packed lunch. The staff are discrete in providing food for those who need it, and are available on a daily basis to provide food in the morning, at recess, and to make simple and nutritious lunches in our kitchen for the 4 to 8 students who have arrived without one each day.. From time to time, we have also used funds to teach students about healthy snacks and have included students in preparing and providing snacks to their classmates. 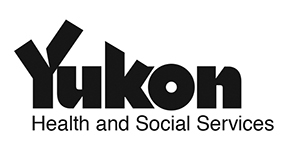 The funding that the school receives from Yukon Food for Learning Association is provided by Yukon Health and Social Services.